HomenewsHealth ArticlesLiving HealthyPrimary Medical Care Center Challenges You! 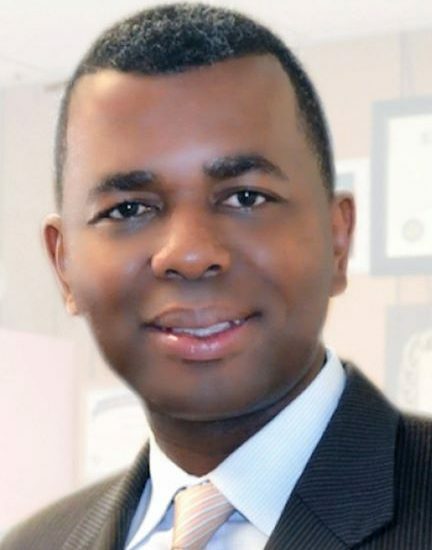 In December 2017, Primary Medical Care Center’s CEO, Prinston Jean-Glaude was in his mid-forties and in relatively good health. However, he was 212 pounds, with one chronic health issue he had struggled to maintain since his twenties and was slightly embarrassed when he found it difficult to bend over to tie his shoe laces due to those extra pounds around his waist. So, he decided to do something about it. He challenged himself to lose the weight in a healthy way, knowing that his health would improve by doing so. After consulting his physician, Prinston set a weight-loss goal of 195 pounds for 2018. He achieved that goal by December 2018, primarily through consistent exercise. Prinston hits the gym three times each week for cardio and weight-training and he does a combination of daily sit-ups and push-ups at home. Encouraged by his weight-loss success and finally having his health condition within normal limits, Prinston, with guidance from his physician, decided to challenge himself even further. For 2019, he set a weight-loss goal of 180 pounds. A deeply religious man, Prinston credits his faith for any success he achieves. That also includes his weight-loss journey. Now, he has added diet as part of his weight-loss regimen. He has eliminated meat, sugar, and rice from his diet and continues to exercise in the same manner as before. His diet was mainly based on the Biblical Daniel Fast which not only heals the body, but the mind, and spirit through the discipline of the process. Since the beginning of 2019, Prinston has already lost 10 pounds and is so excited about it that he is challenging everyone to set their own health goals, work at them, and achieve them. His wife, Edwige, and sister-in-law, Alie, both accepted his challenge this year and have already achieved their weight-loss goals so far for January! Way to go ladies! So, are you up for the challenge? What are your health goals for 2019? Prinston Jean-Glaude is specifically challenging community leaders, pastors, priests, employers, civic leaders, anyone with a following to join him in taking the lead in your organization to mobilize your group to reach their individual fitness and health goals. He does understand that everyone is different. He knows that everyone does not necessarily need to have weight-loss goals to be healthy. Their goals may be to gain muscle mass or to lower their cholesterol or simply to maintain where they are. The most important thing is to see your doctor first to get a proper assessment and to discuss your personal health options and to find the right regimen that works for you. Do not embark upon any diet nor exercise routine before consulting your physician. If you do not have a physician, please feel free to make an appointment or walk-in to one of our Miami or Lauderdale Lakes Primary Medical Care Centers and any one of our friendly health care providers will be happy to assist you.